National DMDA, its advisors and consultants, do not endorse or recommend the use of any specific treatments or medications, or participation in any specific clinical trial. For advice about specific treatments, medications or clinical trials, individuals should consult their physicians and/or mental health professionals. Clinical trials are research studies involving people, which may be conducted by universities, hospitals, non-profit community agencies or for-profit testing companies. Some trials evaluate the effects of new or existing medications. Others study new forms of psychotherapy or other treatment methods. Each follows a structured plan developed before the trial begins. 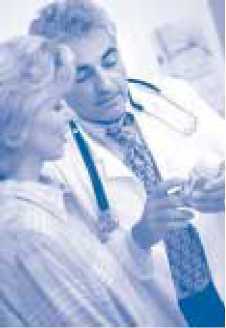 In some clinical trials, participants are given some type of treatment, such as medication and/or psychotherapy. In others, some participants are given a treatment while others are given a placebo, or “sugar pill.” Sometimes participants are given more than one type of treatment over the course of the trial. Researchers continuously evaluate the condition of each participant. The participants may be asked if their symptoms are improving or if they are experiencing any side effects. Laboratory tests, such as blood tests, may be included. Control: The treatment which has a predictable outcome. Research subjects in the control group may receive a standard, commonly used treatment or a placebo (“sugar pill”). Crossover: A study in which participants are randomly assigned one of two or more treatment options for a specified time period. When that time period ends, the participants “cross over” to one of the remaining treatments for another specified time period. Double-blind: A study in which neither the participants nor the investigators who work with them knows which treatment or placebo is being given to which participant. Informed consent: The required signed, written acknowledgement from a participant in a clinical trial (or his or her legal representative), which states that he or she understands what is going to happen in the trial and the risks involved. Institutional Review Board (IRB): A group of people (including scientific experts as well as nonscientists) that oversees the design of a clinical study and periodically reviews clinical research to ensure there are no ethical violations. A clinical trial must be approved by the IRB before it begins. Protocol: Procedures which must be followed. To protect the trial’s scientific accuracy, straying from protocol is seldom allowed. Randomized: A study in which participants are assigned by chance (not by the investigators’ choice) to their particular groups. Single-blind: A study in which the investigators know which treatments each participant is receiving, but participants do not. Without clinical trials, many of the treatments that help people manage their illnesses would not be available today. For example, in most cases, medications cannot be prescribed until the Food and Drug Administration (FDA) approves them. In order to be approved by the FDA, medications must first demonstrate safety and effectiveness in clinical trials. Clinical trials have evolved a great deal in recent years, and more attention than ever is being paid to the well-being of research volunteers. Taking part in a clinical trial may give you the opportunity to try a new medication or treatment before it is widely available, or to receive the attention of multiple specialists. The medication being tested may lack the side effects of the medication you are currently taking. In the majority of studies, patients are not charged for medications, visits or tests. Your decision to participate in a clinical trial is voluntary, and should be based on your personal needs, interests, beliefs and expectations. It is important that you understand your rights as a research volunteer and the risks involved before making your decision. What are the drawbacks of clinical trials? Every clinical trial involves a trade-off. Nothing is without risks, including illness itself. A study may not benefit you personally at the time of the clinical trial. You may have to stop taking your current medications, even if they are working. It is very important that you understand potential risks of participation before agreeing to take part in a trial. Consult your physician when deciding whether or not the trade-off involved is reasonable for you. 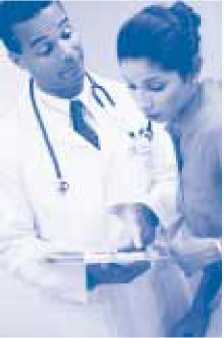 It is important to remember that the goal of a clinical trial is to learn more about your illness and its treatments. In addition, keep in mind, your participation in a trial does not guarantee you will be given a new treatment. You may be given an older medication or even a placebo—an inactive substance that resembles a real medication in appearance. Agree in advance with your doctor, family members or trusted friends what will be done (and by whom) if your symptoms worsen or become severe during the course of the trial. Write down what you would like done, what medications you are taking, your health care providers’ names and phone numbers, and your insurance information, for use in an emergency. Many people think that participating in a clinical trial means they will get better treatment for their illness. While this may be true, please keep in mind that the trial is being conducted for research purposes. Taking part in a trial does not guarantee individual benefits to the participant in the form of newer or safer treatment. The contribution made by a clinical trial is to science first and to the patient second. Do I have to meet certain participation requirements? ■ You must be diagnosed with the illness that is treated by the treatment being studied. ■ Sometimes admission criteria will specify a particular subtype of an illness (e.g., chronic depression, bipolar I or II) or certain symptoms (e.g., rapid cycling). ■ Other co-existing mental or physical disorders usually must be absent. ■ Some trials do not permit the use of medications other than those given as part of the study. ■ Excessive alcohol intake or “street drug” use may disqualify an applicant from participation. ■ Participants may be required to have never taken the medication being studied. Is hospitalization necessary during a clinical trial? Clinical trials that test mood disorder treatments are usually conducted on an outpatient basis, unless the clinical trial is specifically designed to include hospitalized patients. What is involved with “Informed Consent”? You will be asked to sign an informed consent form after you discuss the clinical trial with study personnel. Informed consent forms describe the plan of the trial, including an explanation of all treatment possibilities and any required testing procedures. The potential benefits and risks of the treatments being studied will be listed, as well as any hazards or discomforts associated with the study procedures. Carefully read the entire form and ask questions if there is anything you do not understand. Take the consent form home; do not sign it without considering it overnight. You may want to discuss the trial with your family or health care provider. What information do I need to know before participating? Before agreeing to participate in a trial, make sure you have the following information. This information may be found in the study materials or the informed consent form, so be sure you have read them carefully. How can I find out about clinical trials that may benefit me? First, ask your health care professional about clinical trials that might be appropriate for you. 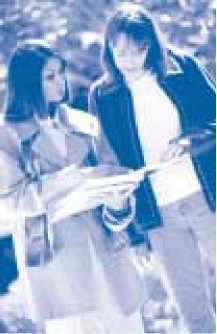 Research organizations and universities conduct clinical trials in most major metropolitan areas. Visit National DMDA’s web site, www.ndmda.org, for a listing of clinical trials. (National DMDA does not necessarily endorse the clinical trials on its list.) Ads for clinical trials also may appear in newspapers and magazines, and on billboards, the radio and television. Trials may be paid for by a variety of organizations; find out who is sponsoring the trial before you participate. For another source, contact the Office of Public Inquiries at the National Institute of Mental Health (NIMH), (301) 443-4513/fax (301) 443-4279, or visit NIMH’s web site, www.nimh.nih.gov, and click on the Clinical Trials link. You may also send e-mail to nimhinfo@nih.gov, or write: NIMH Public Inquiries, 6001 Executive Boulevard, Rm. 8184, MSC 9663, Bethesda, MD 20892-9663. An additional source which may list trials near you is www.centerwatch.com. □ I wish my gift to remain anonymous. □ Please send me ____donation envelopes to share. □ I’d like details on including National DMDA in my estate planning. □ I have enclosed my company’s matching gift form. □ I’d like to receive more information about mood disorders. □ Please send all correspondence in a confidential envelope. Please send this form with payment to: National DMDA 730 N. Franklin Street, Suite 501, Chicago, IL 60610-7204 USA Questions? Call (800) 826-3632 or (312) 642-0049. Secure online donations can also be made at www.ndmda.org. A fee will be applied on all returned checks and resubmitted credit card charges. National DMDA is a not-for-profit organization. Your contributions may be tax deductible. For more information, please consult your tax advisor. Thank you for your gift! We’ve been there. We can help. 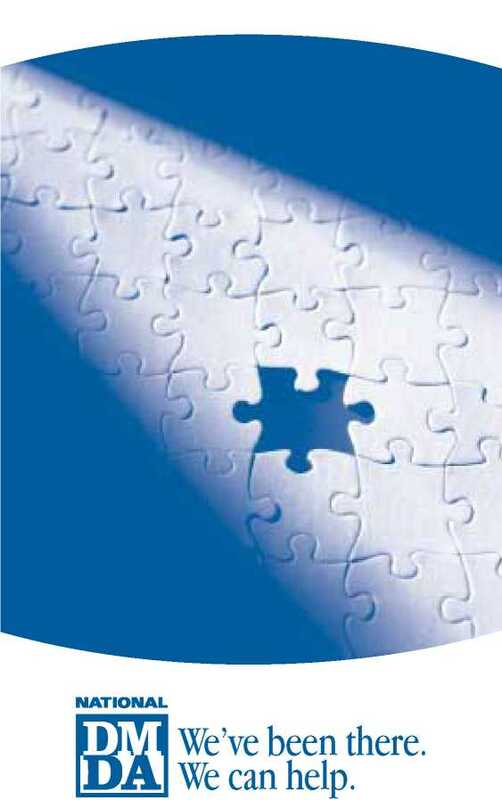 THE MISSION of the National Depressive and Manic-Depressive Association (National DMDA) is to educate patients, families, professionals and the public concerning the nature of depressive and manic-depressive illnesses as treatable medical diseases; to foster self-help for patients and families; to eliminate discrimination and stigma; to improve access to care; and to advocate for research toward the elimination of these illnesses. The National Depressive and Manic-Depressive Association is the nation’s largest patient-directed, illness-specific organization. Incorporated in 1986 and headquartered in Chicago, Illinois, National DMDA has a worldwide grassroots network of more than 800 support groups. It is guided by a 65-member Scientific Advisory Board composed of the leading researchers and clinicians in the field of mood disorders. Production of this brochure was made possible through an unrestricted educational grant from GlaxoSmithKline. Matthew V. Rudorfer, M.D., assistant chief of the Adult and Geriatric Treatment and Preventive Interventions Research Branch of NIMH, contributed to the contents of this brochure. This brochure was reviewed by Emile D. Risby, M.D., Associate Professor in the Department of Psychiatry at Emory University School of Medicine and a member of National DMDA’s Scientific Advisory Board, and by consumer representative Larry Grossman.